From the New York Times bestselling author of Z: A Novel of Zelda Fitzgerald comes an epic and unforgettable novel about a Southern belle named Alva who married William K. Vanderbilt—and became the force behind one of the most influential dynasties of New York’s Gilded Age. After the Civil War, young Alva Smith and her sisters are left with nothing but their good name. Then she is introduced to William Vanderbilt, whose nouveau riche family is upending established New York society. They marry, but find themselves excluded by the old-money doyennes who control access to the city’s social and political scene. Refused entry, Alva designs and builds mansions and hosts her own grand balls. Denied a box seat at the Academy of Music, she helps found the Metropolitan Opera House. Outspoken, brave, and fiercely independent, Alva defies convention by championing suffrage for women, African-Americans and immigrants, and supporting labor union strikes. And, when William’s attentions wander, Alva puts her future at risk—with a scandalous strategy that changes her life. 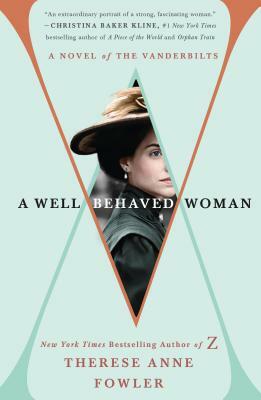 Set in Manhattan, Newport, and Paris, filled with glittering period detail and a cast of characters that includes the Astors, the Rothschilds, the Whitneys, the Belmonts, and other notable names from the era, A Well Behaved Woman tells the remarkable story of a woman who would not be denied.